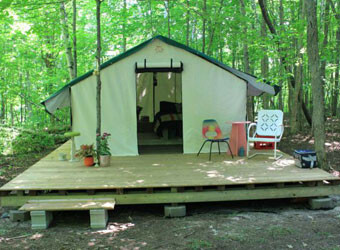 Deluxe Wall Tents is a three generation family owned and operated business. 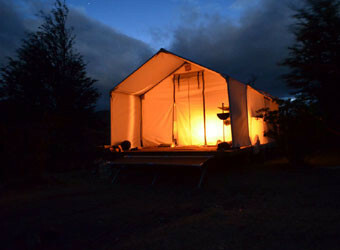 We take great care to manufacture the very best wall tents for our customers. We are lucky to be in a business so closely related to our passion for the outdoors. 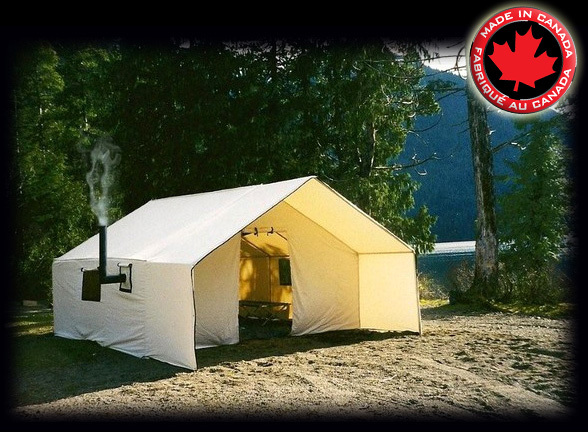 Our tents and frames have been used across Canada from B.C. to Newfoundland and as far north as the arctic. 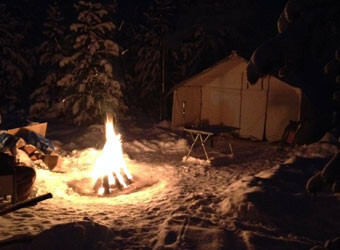 We offer top quality products that will provide you with a very comfortable camp. We stand behind everything we sell. If, for any reason, you are not totally satisfied when you receive your order simply return it unused for a full refund. This does not include custom work. 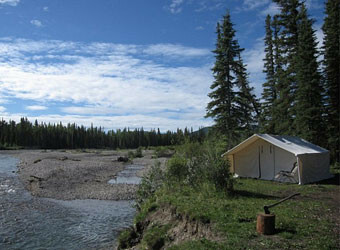 Always be sure your tent is dry before storing it and it will provide you with a lifetime of great memories. 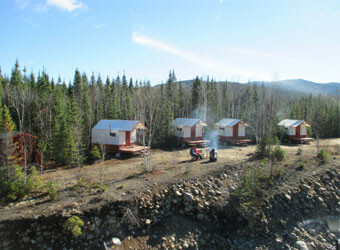 Click here to see some great pictures our customers have sent us from across Canada. 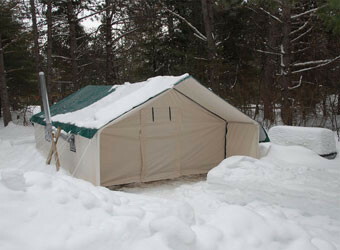 Deluxe Wall Tents are the Team Shockey choice for our outfitting operations. Quality construction, custom work upon request and attention to detail ... these products stand up to the harshest conditions in North America." — Jim Shockey, professional big game hunter and outfitter. 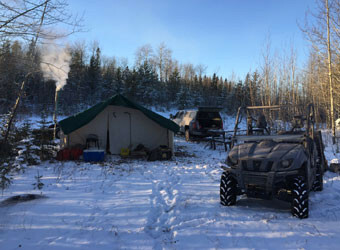 Earlier this year I bought a 12' x 14' Deluxe Wall Tent from you and wanted to share a few pictures of my two trips in Northern Alberta. I was the most comfortable I've been in 30 years. The tent performed flawlessly. The tent was put to the test. We had everything from a heat wave, rain, snow and 90 km./hr. winds. Our November trip went from -15 with a foot of snow to rain and then -25 with 2 1/2 feet of snow. I'm so glad I bought a quality product. Please don't sacrifice quality in the future. Also, please forward my thank you to your family for a great job."